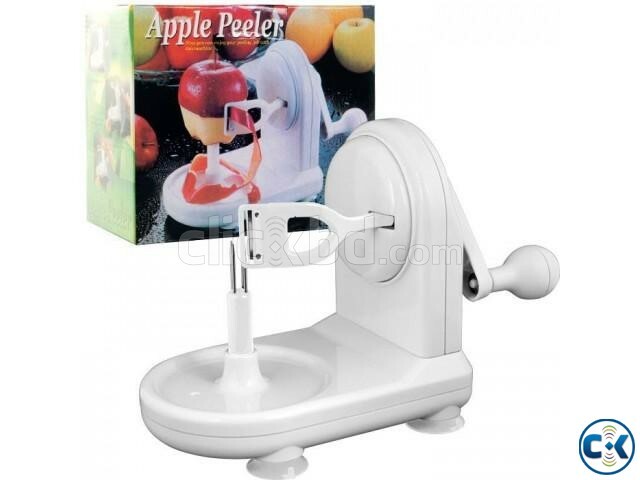 Category: Home & Living > Kitchen > Other kitchen equipments > > Apple Peeler fruit peeler. Install handle by sliding handle over handle and knob. Place apple on Pin Head and Position blade under apple by turning handle. Simply turn handle to start peeling. Blade will automatically move away from apple. Blade can be removed for cleaning by pulling off blade arm.